Is The Phnom Penh Property Market Headed For a Massive Crash? Phnom Penh’s mushrooming property market is set for a massive crash with new apartment prices set to plummet by up to 50 per cent over the course of this year compared with March 2016 prices. At least so says the Phnom Penh based director of EPenh, Nigel Miranda, in the Cambodian capital. According to Mr Miranda the effects of the oversupply will be felt across the entire Phnom Penh property market, with construction also tipped to be scaled down. Some segments of the Cambodia real estate sector have been warning since the middle of last year that the construction boom evident all around the city was unsustainable, with a steady supply of new residential, commercial, and mixed use properties only serving to swell an already bloated market. In its most recent report titled Phnom Penh Housing Market and Outlook Report 2016, property and asset valuation company VTrust Appraisal said that in 2016 there was a big increase in housing completion, with 14,539 units completed across numerous projects in the capital, a 106 per cent increase over the 7,054 units completed in 2015. Additionally 2016 saw 11,550 new units released for presale, with link type houses accounting for 89.1 per cent, or 10,290 units. However, only 51 per cent were sold. Of the 100,278 strata housing units available at the end of 2016, VTrust says only 67 per cent or some 68,190 had found buyers. The view of a burgeoning oversupply in the Phnom Penh property market are echoed by Knight Frank in its Cambodia Real Estate Highlights H2 2016 report. In it the international property consultancy giant forewarns of an additional 1,053 more serviced apartment units coming online by the end of this year, adding to the existing recorded pool of 4,214 units available right now. By 2020 the supply of commercial office space is projected to increase by around 77 per cent. Highlighting softening demand, the Knight Frank report states that none of the 3,184 monitored units in the condominium sector that were scheduled for completion in Q4 2016 finished, with 2 per cent put on hold and 98 per cent rolled over to 2017. Signs that the Phnom Penh property market balloon is reaching bursting point first began to emerge last August. The Singapore developers of a $500 million mixed-use project in the heart of the up-market Chroy Changvar peninsula put the residential component on hold citing “a heightened risk of oversupply of condominiums”. This was followed by Overseas Cambodian Investment Corporation (OCIC), who last month announced the downsizing of two projects. One will see its number of floors cut by almost 31 per cent – from a planned 65 down to 45, while another will see almost 16 per cent cut, now only planned for 38 floors instead of the original 45. The most recent casualty in the ballooning Phnom Penh property market is Sino Plaza, a $250 million, 217,000 square metre mixed-development partly constructed along the side of a sewage canal in the Boeung Trabek part of the capital. Slated to comprise two 42-storey serviced apartments buildings, one 36-storey five-star hotel and cinema complex, and one 43-storey building for offices and condominium units, the Chinese developer was reported earlier this month to have refunded the deposits paid by the 20 customers it had signed up and halted all further sales. While construction is said to be continuing, the 2018 completion schedule is looking increasingly less achievable, with the The Phnom Penh Post claiming the developer was ‘going back to the drawing board’. Also yet to be solved is the stench from the open sewer channel in front of the project which can not be covered for flood control reasons, and which occasionally overflows its putrid contents in the surrounding area. Also not gaining much attention these days is an announcement last year by Thailand’s largest brewer, the Boon Roong Group, that it planned to invest $1 billion in constructing two 133 storey 560 metre-tall (1,837ft) skyscrapers on a former carnival ground along the banks of the Tonle Sap river, in what would set a new record for the world’s tallest twin towers. According to Mr Miranda it is these luxury developments that are the most concern. 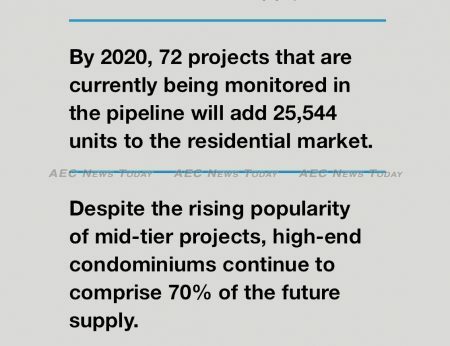 The supply of so-called luxury condominiums in the $100,000-plus segment, he said, had increased by more than 100 per cent on a year prior indicating a massive oversupply in products for available buyers. Describing the luxury market as “overpriced” and “lacking in demand”, Mr Miranda said the $2,000 a month salary required to service a mortgage put the properties well beyond the reach of most Cambodians. “Here we are talking about Cambodian middle-class and the maximum number who would fall into that category would number less than two million”, he said. 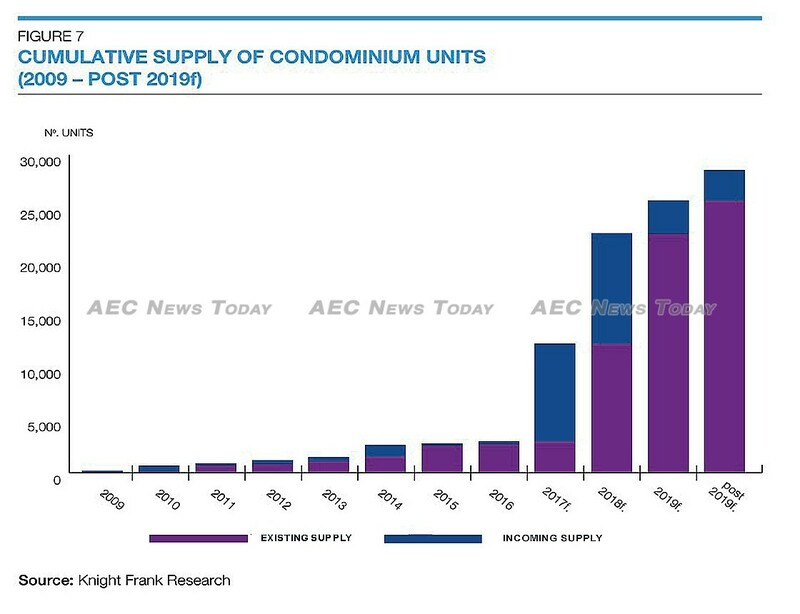 Claiming that developers and real estate agents are creating an artificial price balloon and benefiting from the absence of any property price index, Mr Miranda said Phnom Penh condominium prices exceeded comparable properties in Thailand, Kuala Lumpur, and Jakarta. Forecasting prices to stay high for the next six to 12 months as larger developers with greater leveraging power on their financial backers try to tough it out, Mr Miranda said he expects smaller developers to then begin easing prices, before the floodgates open and the Phnom Penh property balloon bursts with great effect. In response to those who claim his claims are without any basis, Mr Miranda to points to Dubai, Bangkok and even Phnom Penh. “Dubai, Bangkok and even Phnom Penh have all gone down the same path experiencing mega growth up until big crashes. In Dubai the property balloon burst in 2007; In Bangkok in 1997; and in Phnom Penh in 2009. “Although each of those markets recovered, the upswing took considerable time, with property existing prior to the crashes taking much longer to recover their value as newer stock came on line. 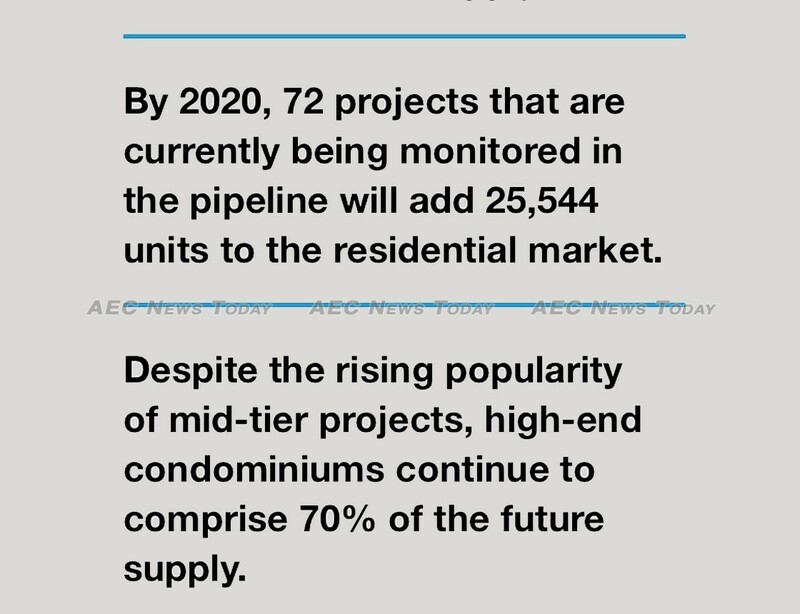 I expect the same thing to occur in the Phnom Penh property market with no sign of an upswing until at least three or four months after the Cambodia General Elections in July 2018. “We’re advising our clients and friends that that now is not a good time to buy Phnom Penh property and I expect foreigners who have bought condominiums (foreigners can not legally own land in Cambodia) in the expectation of flipping them and making a profit in a couple of years, or even on completion, may instead see losses of between 30 and 60 per cent should they try and sell in the next couple of years. According to Mr Miranda “the real return on Phnom Penh property is currently between 4 and 6 per cent on condominiums, well below the interest rates paid by Microfinance Deposit Taking Institutions (MDIs), and on par with what is obtainable from banks”. Pointing out that the boom in the Phnom Penh property market has been a major driver of the Cambodia economy, Mr Miranda said a Phnom Penh property market crash could have serious consequences for the country’s economy, making it difficult for it to maintain the 7.2 per cent average annual GDP growth it has achieved over the last five years. 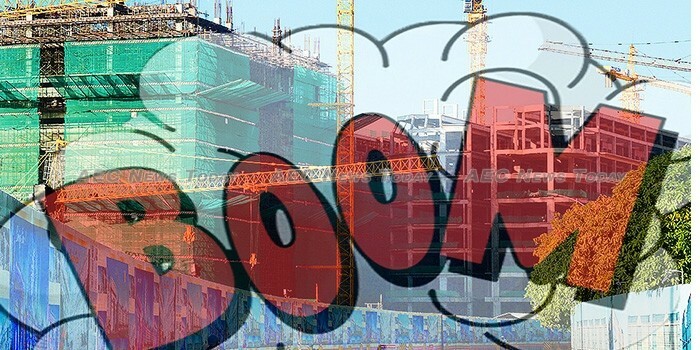 “When the Phnom Penh property market ballon finally bursts we’re likely to see a slew of projects suspend construction which will impact on the entire economy. Construction has been a major drive of Cambodian economic growth and less sales are likely to result in a hiatus in construction resulting in higher unemployment, higher household debt and an overall credit crunch. “Perhaps concern over this, is behind the government’s recent order limiting the interest rates on micro finance loans. No prime minister wants to head into an election amidst rising unemployment and large numbers of people – especially those in the provinces where micro finance is active – not being able to repay their loans”, Mr Miranda said. Mr Miranda’s predictions of a Phnom Penh property market crash come a little more than one month before the Cambodia Real Estate Show, an event being billed as ‘Cambodia’s biggest Real Estate Show’ with realtors, property developers, insurance companies, banks, telecommunication companies, tax consultancies, law firms and others all hawking their wares at a show aimed at attracting a greater regional audience. In addition to the exhibition, attendees at the May 5th and 6th show will be able to hear from a range of local ‘experts’ on why the mushrooming Phnom Penh property market is not a concern. In response to Mr Miranda’s predictions, James Whitehead, director of content at Cambodia’s largest realestate portal and organisor of the Cambodia Real Estate Show, realestate.com.kh, said “statements on the market without data to support those statements is only speculation, and should be treated as such. Kim Heang, president of the Cambodian Valuers and Estate Agents Association (CVEA) did not immediately respond to a request to comment on Mr Miranda’s forecast of a pending Phnom Penh property market crash.